There's a reason why Bicycling Magazine ranked New York City as a Top 5 bicycle town in the USA. The city's bicycle infrastructure system is amazing. I saw firsthand last week the stunning number of designated trails, bike lanes, sharrows, signage and bridge access for bicyclists in Manhattan. I have compiled a powerpoint showing a sample of New York's bike system and here's a few slides from that powerpoint. 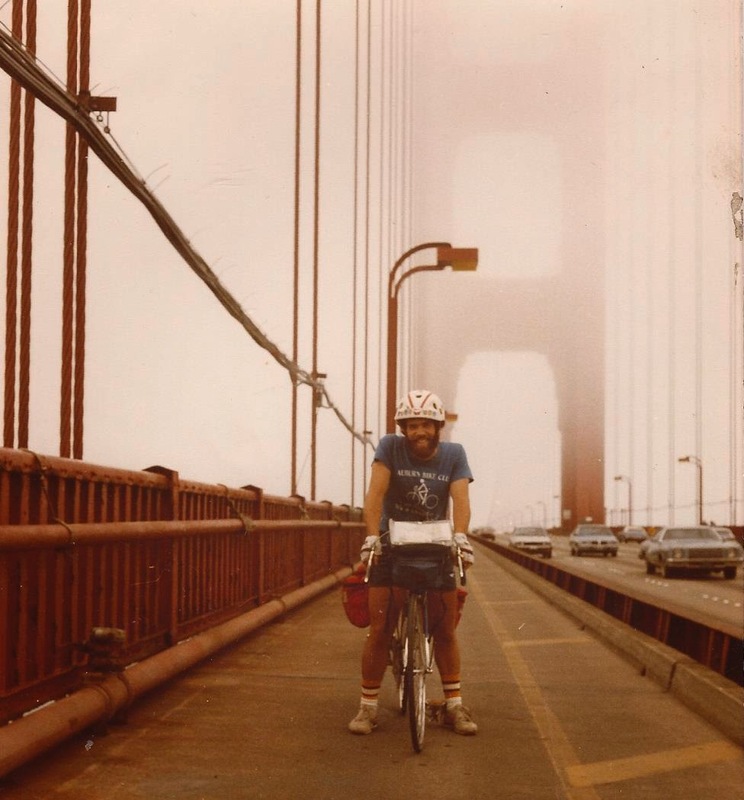 Aug. 16, 2012 - After months of steady dialogue and face-to-face meetings, the leaders of the Alliance for Biking & Walking, Bikes Belong and League of American Bicyclists have decided not to pursue full unification at this time. The three groups continue to operate independently, in close collaboration, to make bicycling safer and more enjoyable for all Americans. These unprecedented unification discussions were marked by goodwill and an open exchange of ideas. They helped U.S. bike advocacy leaders agree on a shared vision, goals and strategies that will advance the movement and improve bicycling coast to coast. 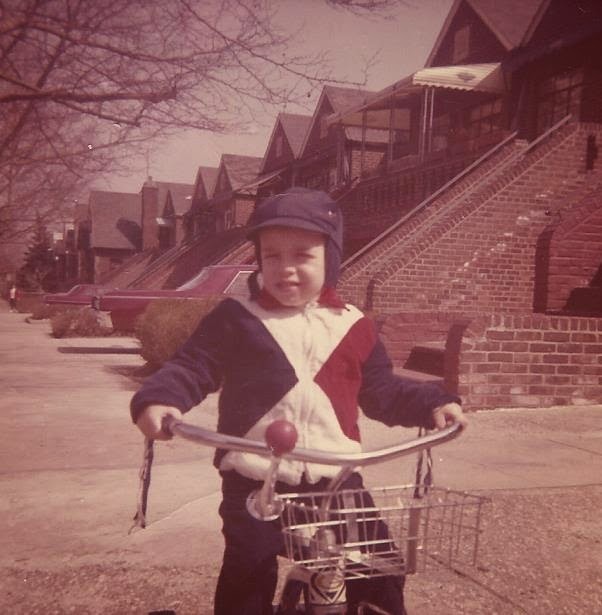 Half of all Americans will have front-door access to a bicycling network that will take them to destinations within two miles exclusively on low-stress streets, lanes, and trails--protected from high-speed traffic. The League and Alliance are developing plans to help state and local advocates get the most out of MAP-21, the new, two-year federal transportation bill, and will work with Bikes Belong on this, and other projects. Bikes Belong has initiated a strategic discovery process to review its overall goals and to refine its focus, and is engaging the League and Alliance to help shape its future direction. The leaders of all three groups began the unification discussion fully aware of the challenges of blending unique legal structures, membership bases, project priorities, and headquarters locations. While these talks didn't produce a merger, the groups will continue to work together to engage, represent and connect the many different elements of the bicycling movement. They will focus on federal, state, and local projects that best improve bike infrastructure and safety in the United States. 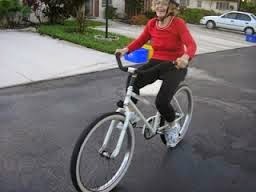 After offering free loaner bicycles at the Democratic and Republican conventions in 2008, Humana the health insurance company is returning with the pedal power at this year's national political conventions. But there's a twist. Instead of individual bicycles, Humana is rolling out 20 pedaling mini-buses for delegates, visitors and media to pedal. Tampa Mayor Bob Buckhorn tried one out for a spin this morning at the convention center. This perfectly describes Hillsborough County's handling of the FriendshipTrail Bridge. When it was open, the bridge was a unique community asset used by more than 600,000 residents per year. Even though the bridge is now closed, I still see people who have hopped the barriers and are using it. If you don't have a boat, the bridge is one of the few ways you can access the waters of Tampa Bay. After the bridge was closed because of safety concerns in 2008, the county failed to perform a comprehensive study of the bridge's condition and failed to develop any plan to save this asset. Having failed to fully study the bridge's condition for four years, the county decided the only option available was demolition. That is when I, and many other concerned citizens, got involved. Our first argument to the county was that a comprehensive study was needed to determine the bridge's condition before tearing it down. Once we understood the condition, a plan could be developed. If the bridge could be saved, we developed a bold vision for the project. The county seemed to recognize that it lacked the information necessary to make a decision when it voted to stop the planned demolition. Since then, however, the county has rushed through a series of poorly-thought-out proposals. First, we had the parks referendum, which appeared without warning and died a quick death. Now, the county says it wants to issue a request for proposals hoping that some private company will step forward to do the county's work. The county is rushing from a poorly-thought-out plan to demolish the bridge to a poorly-thought-out plan to save it. Both options are likely to fail. Without accurate information about the bridge's condition, it is impossible to plan a future for it. The county should have performed a comprehensive study four years ago. For some reason, it is still refusing to perform a comprehensive study. If the county won't perform the study, it should give the community time to raise money to conduct the study on its own. Once we understand the bridge's condition, then can we plan a solution. T The good and bad of biking in Tampa -- dad is helping his daughter ride her bike with training wheels on Hubert Drive and below is a salmon dude biking against traffic in the bike lane on Nebraska Avenue. If there are no other bicyclists with me when I ride my bicycle, I am never alone. I ride a route to Flatwoods Park outside Tampa that includes people who live along the circuit who I see every day. They are part of my ride. There's the guy at the furniture retoration shop on 40th Street who yells out "Hi-yo silver!" when I pass. There are the waves and smiles of the lawn care guys edging the sidewalk on McKinley outside Busch Gardens. And there's the friendly toot of the horn by The Grizz -- a county Flatwoods park worker -- when he he sees me pedaling Morris Bridge Road. ISM bike seats are not just for OIympic champions, world-class triathlon racers and bike roadies. They're for everyday bicyclists like the Chip-man who lives in my neighborhood and has his commuter bike sporting an ISM Adamo model. You go Chip! During today's opening comments at the Fla DOT bike-ped discussion, the FDOT secretary for the Tampa Bay area, Don Skelton, said the high number of cars crashing into pedestrians and bicyclists is a problem. So for 3 1/3 hours DOT staff from Tally met DOT staff in the Tampa Bay area and a whole bunch of other agency reps to talk bike and pedestrian safety solutions. I hope more bicyclist/motorist education; better engineered roads and beefed-up enforcement/court action follow. It was so cool to see Channel 8 TV reporter Josh Green do a story on the ISM bike saddle, which is headquartered right here in Tampa Bay. Steve Toll created the ISM bike seat and I'm happy to say that ISM is the presenting sponsor of the 2012 Bicycle Bash in Tampa which is out on by SWFBUD to promote bicycling in Tampa Bay. The ISM seat was featured on the news because the gold medal winner in the triathlon event used an ISM bike seat on her bike in the event. 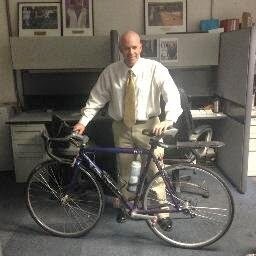 SWFBUD welcomes Tim Bustos, executive director of the Florida Bicycle Association to Tampa and Tampa Bay this evening for Monday morning's Florida DOT Bicycle Pedestrian Council roundtable discussion. 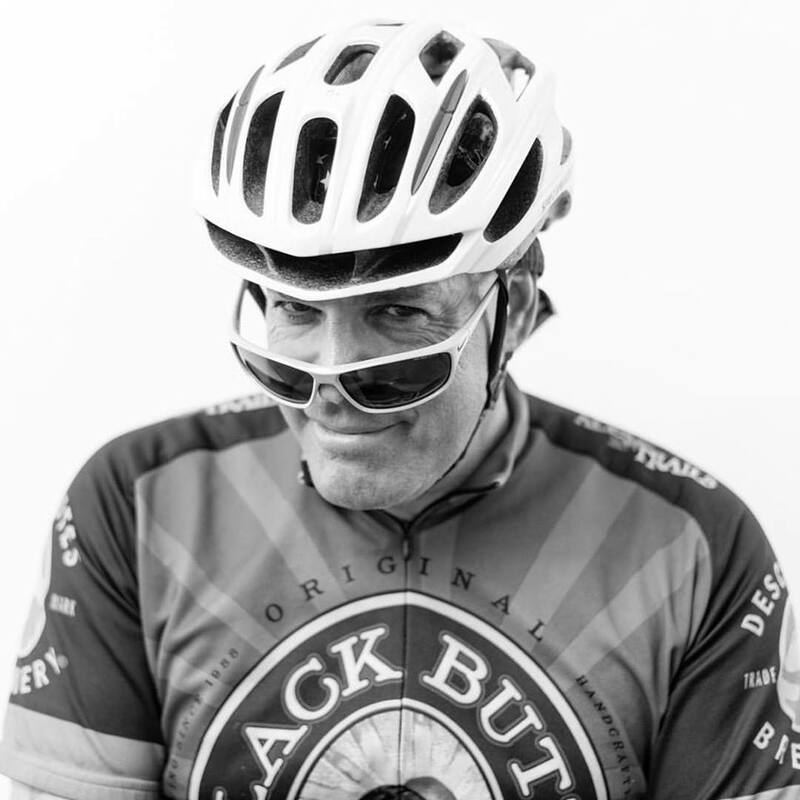 Tim is a great experienced bicycle advocacy pro and someone you should get to know. I was so happy to hear from Steve Toll today that his ISM bicycle seat was used by an Olympian woman to win the women's triathlon event. Here's my friend John who biked with me today talking about how he loves his new ISM Adamo bike saddle. It was a beautiful sight to see the line of bicyclists heading south on Gulf Blvd. in Treasure Island and St. Pete Beach for today's Hand Across the Sand event at the Sandpiper hotel on the Gulf of Mexixo. It was a great bike ride because we were going to an event to speak out against the environmental threat of drilling our Gulf waters. What better way to hit the beach and hold hands against any potential threats than to arrive by bicycle. There were bicyclists from the St. Petersburg Bicycle Club, Suncoast Cycling Club and Seminole Heights Bicycle Club.The Sierra Club put on a great event and kudos to Phil Compton of the Sierra Club for organizing the event. I enjoyed working with Phil to put on the bicycle ride aspect of the event. We started at SWFBUD bike shop Trek Store of St. Petersburg and then picked up cyclists at SWFBUD bike shop ABC Bicycles on Central Avenue before biking out to Gulf Blvd. and then pedaling three miles south to the Hands Across the Sand event. Great everyone! Get involved! Attend a Florida DOT bicycle-pedestrian roundtable discussion in Tampa on Monday from 8am-12 noon at the Center for Urban Transportation Research at the USF campus in Tampa. I will advising the DOT bike-ped council that our state of Florida needs to INCREASE spending on bike-ped projects even though the federal Transportation Bill that passed recently reduces bike-ped spending from $1.2 billion to $800 million. The bill also gives states more leeway on how to spend federal money and the states can potentially divert money away from bike-ped projects. Advise the FDOT council Monday to NOT do that and spend more money on bike-ped projects. Score another big win for SWFBUD today. I welcomed today's Hillsborough County Commission's 7-0 vote today to move ahead with a Upper Tampa Bay-Suncoast connector trail project through water district land in north Hillsborough after a neighboring landowner in north County tried to pressure the commissioners to move the alignment. Such a move would cost $200,000 in a new study, jeopardize $1.4 million in DOT funding and put the project 1-2 years behind schedule. I testified before the county commissioners that we need to move ahead with connecting the two regional trails to create the longest continuous trail in the state of Florida. SWFBUD thanks Commissioners Mark Sharpe, Kevin Beckner and Ken Hagan who led the charge and were firmly behind this trail project in the SWFMUD water district land. Nice coverage of the Bicycle Bash kickoff party this week for the Bike Bash, which is happening NOV 4 in downtown Tampa. David Sandmann is your friendly everyday kinda guy who works IT at the University of Tampa, rides a bicycle and lives in Largo. 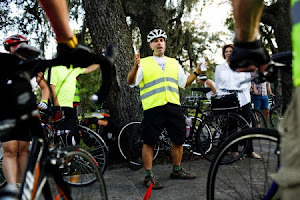 He also wanted to make a difference for bicyclists, so he gathered up his courage to speak before the Largo city council a few months ago, asked them to put Share the Road, Give 3 Feet decals on Largo city cars and enjoyed hearing eventually that Largo police would indeed put the decals on the cars. The Florida DOT furnished the Share the Road decals, which are smaller than the ones placed on the rear windows of the Tampa police cruisers but still a great message. So David made a difference. The big dude who rides a Trek road bicycle stepped and spoke out for bicyclists with the Share the Road decals on Large police cars. This morning I biked through the rain of Tampa, across the Courtney Campbell Causeway and met up with David at Largo Police and also with lawyer Jim Dodson who was also involved in the police decal program in Largo. I was happy to work with David to encourage him to make a difference. And here's my message -- you can do the same. Do you have a bicycle issue to address? Step up, speak out and come up with an option to fix it -- and then tell it to the governing boards and officials who can make a difference in your town. David Sandmann did. You can, too.